Aircast Pneumatic Walker Insole, Xl,Buy Insole by DJO Canada is designed for Aircast FP and SP Walking Boots. Buy Insole by DJO Canada is designed for Aircast FP and SP Walking Boots. 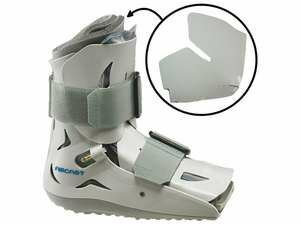 Aircast Pneumatic Walker with Insole by DJO Canada is designed for Aircast FP and SP Walking Boots. Available in 4 sizes; Small, Medium, Large and X-Large.